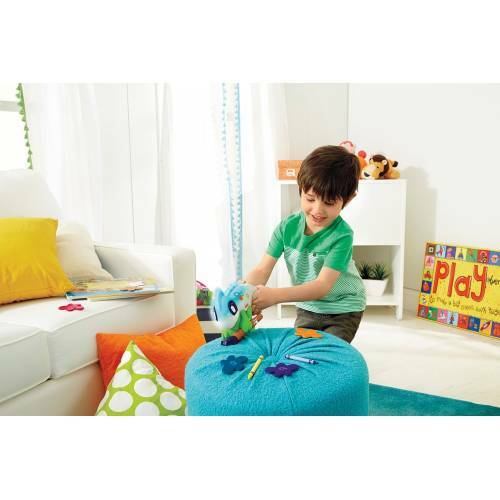 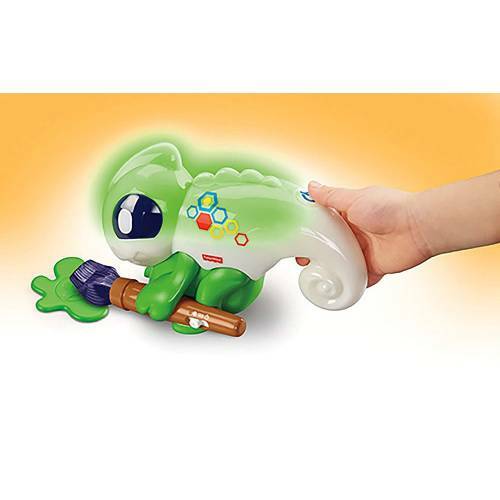 This adorable toy Chameleon encourages pre-schoolers to explore the world of colours and numbers. 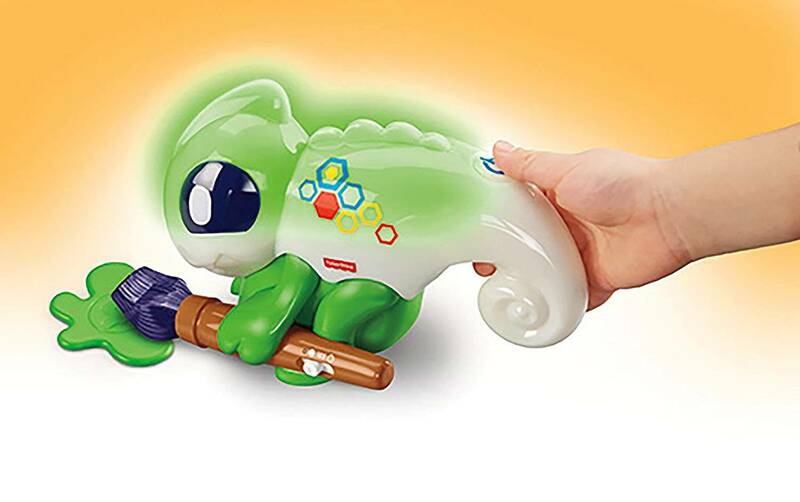 Press the button on the Chameleon's tail to scan one of the 10 paint splats and Chameleon will identify that colour. 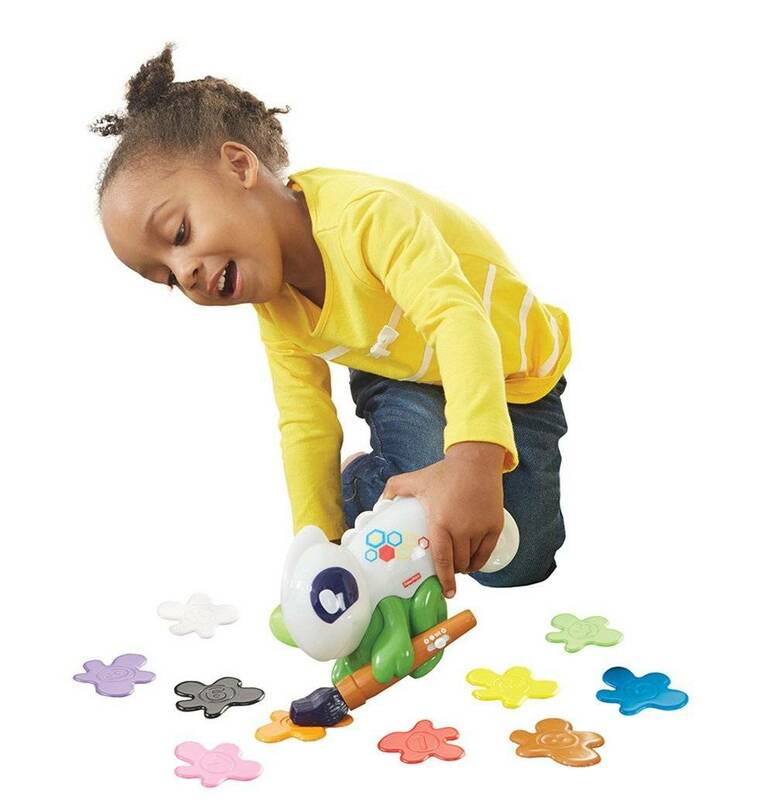 Or, spread the paint splats on the floor, pick a play mode and be prompted to follow directions, sing, count, play games and more. 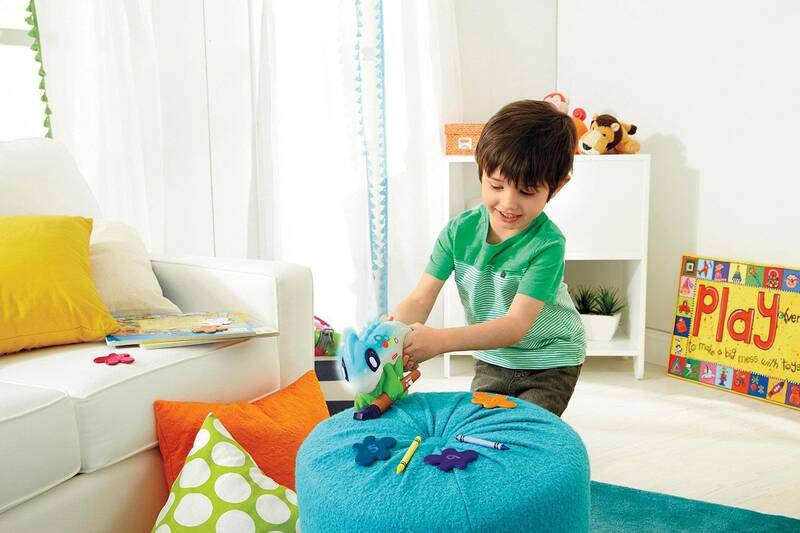 Kids can even try scanning other items from around the room, like a book or a toy, to see what happens. 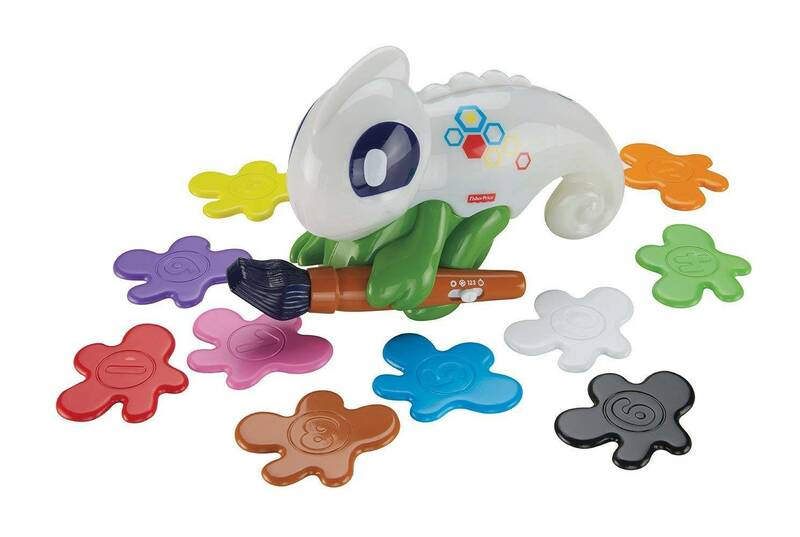 They'll have a blast with this colourful friend. 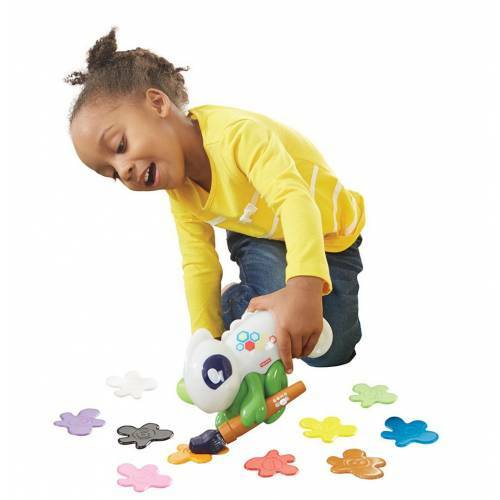 There are 3 fun & interactive ways to play: Colours, Counting and Games. 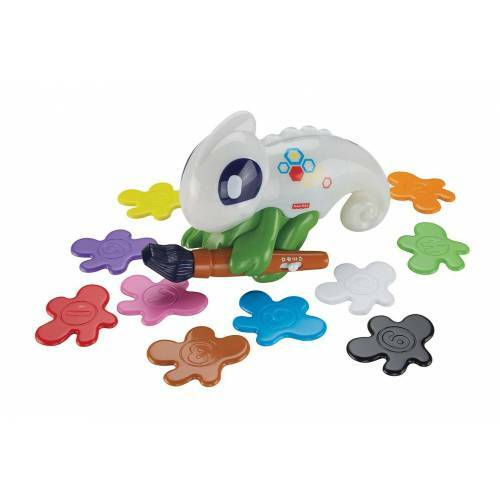 Smart Scan Colour Chameleon is one of the new Think & Learn toys from Fisher-Price that goes beyond ABCs and 123s to help children learn how to think independently.